James Bryan of Mentone. Bryan has been a fiddler almost since birth. He won his first competition at 12, apprenticed with bluegrass master Kenny Baker, and took the title of Tennessee Valley Fiddle King at 17. 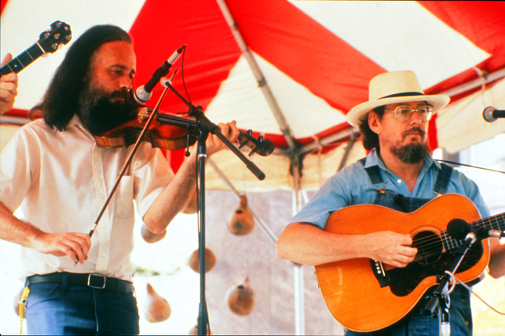 Bryan eventually joined Norman Blake's Rising Fawn String Ensemble, where his mastery of the fiddle and repertoire of old-timey songs was honed. In the mid-1980s he recorded Lookout Blues and The First of May with Rounder Records, a decade later collaborating with guitarist Carl Jones in recording Two Pictures. Bryan now lives in Mentone and continues to make musical appearances. Bryan, one of the 16 former fiddle kings who have reigned during 39 years of competition at the Tennessee Valley Old Time Fiddlers Convention (TVOTFC) have spread their musical influence worldwide. He has entertained in places as diverse as the Smithsonian Institute’s Bicentennial Celebration on The Mall in Washington, D.C., onstage at the Grand Ole Opry, and before a U.S. President. 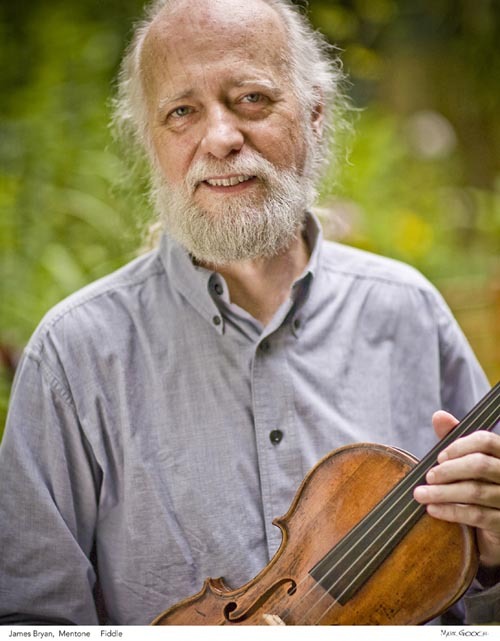 Bryan has recorded traditional fiddle tunes for posterity and mentored young fiddlers in their own music studios across the country.